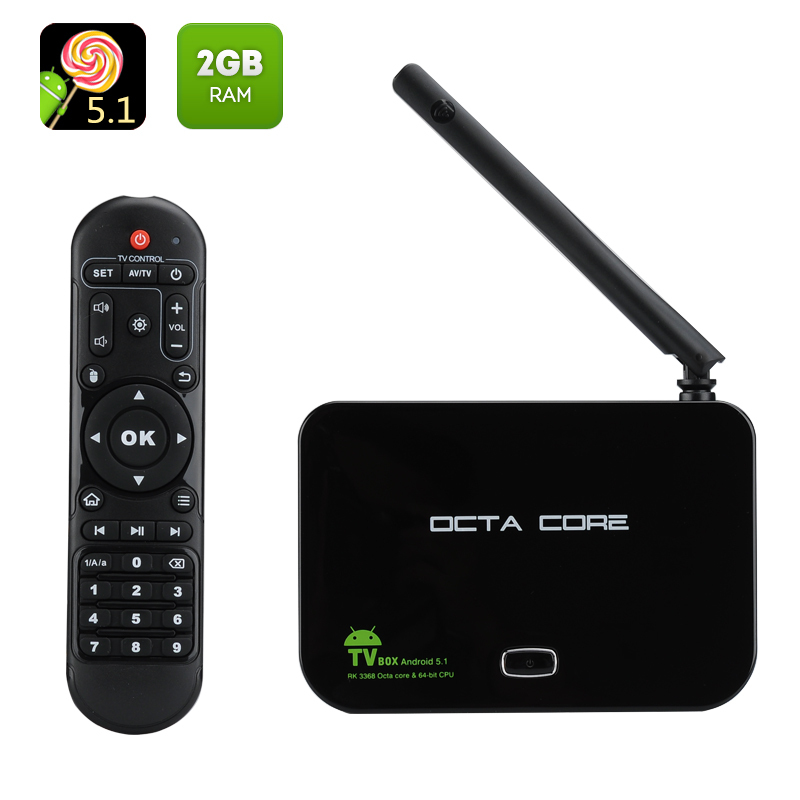 Successfully Added Z4 Android TV Box - Android 5.1, RK3368 64Bit Octa Core Cortex A53 CPU, Wi-Fi, DLNA, 2GB RAM + 16GB Memory, KODI to your Shopping Cart. One of the highlights of the Z4 TV box is that it’s running Android 5.1, giving you the benefit of using all the latest updates and having access to all the tools, games and apps at the Play Store. In addition to improved interface, easier operation and more customization options, your TV will now have many more ways to get your attention. You can use all your Android apps, view media on a large screen, play games and more. The Android TV box comes with a 64 bit Octa Core processor, letting you multitask and easily switch between apps. The TV box also lets you upgrade your home TV experience with KODI – an open source media player that gives you access to movies, audio, podcasts and more. With the Z4 Android TV box, you won’t have any trouble storing all the media files you plan to watch right on the TV box itself, as it comes with 16GB of internal storage. If you feel like that is still not enough, simply put the rest of your files onto an SD card (up to 32GB) and have everything you need handy. The Z4 Android TV Box comes with 12 months warranty. Brought to you by the leader in electronic devices as well as wholesale Android TV boxes,Chinavasion..
none, other than SA postal system and that is not the sellers fault.